Halloween is such a fun time for arts and crafts. There are so many simple ways to decorate your home with things you and your children have made yourselves. One of the most popular crafts during Halloween is carving pumpkins! But if you are like me, you have young children who you can't trust with a knife yet. 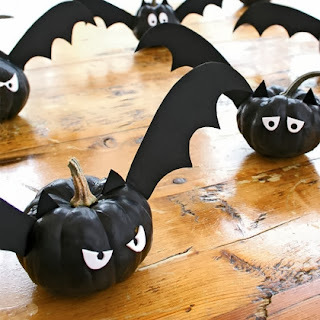 Here is an adorable bat-o-lantern craft from Spoonful that will let your younger children join in on the pumpkin decorating fun! For more great Halloween-themed crafts, check out Fairmont's Pinterest boards. Next week, Fairmont will celebrate Red Ribbon Week. This is a week to remind students to live a healthy lifestyle. Depending on the campus, there will be themed dress days through the week. In addition, all students will receive a red wristband to wear throughout the week. While wearing this wristband, students can receive discounts at various businesses around Orange County. The North Tustin Campus had a JDRF Fundraiser on Wednesday, October 16th and we reached our school goal of $1,000! Students who participate will have their name written on a JDRF sneaker, which is hung on the car loading bulletin board. All collections go to the JDRF Walk on November 3rd. Thank you so much for your support! 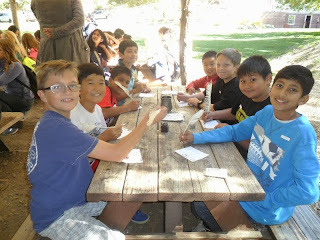 Each year, sixth grade students spend a week in the San Bernardino Mountains hiking, exploring, and observing nature. While there, they are exposed to hands-on lessons in biology, geology, and ecology that enrich the sixth grade science curriculum. 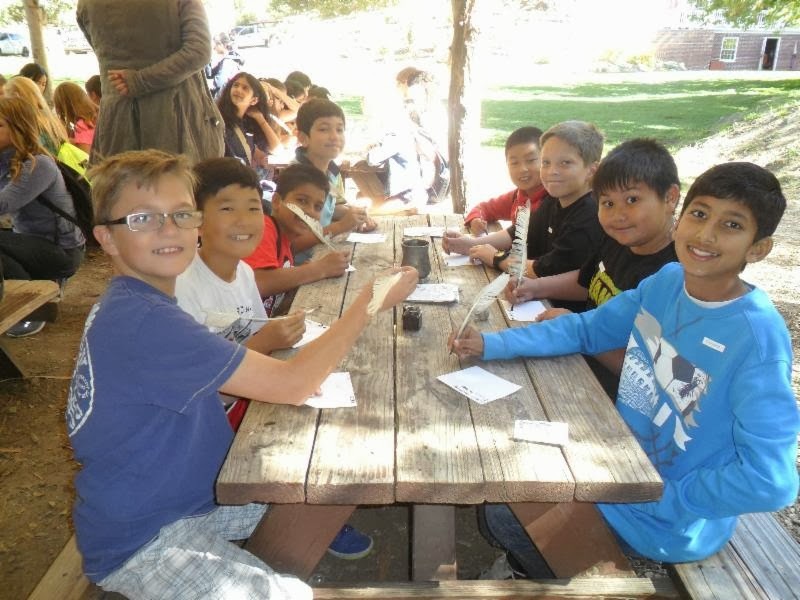 While the experience is highly educational, students also gain the opportunity to meet sixth graders from other school communities and develop rich friendships with their peers. Throughout the week, students had the opportunity to walk alongside expert instructors and classroom teachers, learning about the wilderness that surrounds them. Additionally, they studied many topics covered in their science classes, including plate tectonics and the water cycle. It certainly was a week of learning about and engaging with nature! Some students exclaimed their favorite moments included: Skit Night, the astronomy hike, and their science sessions. The camaraderie gained through the five day experience was enough to last a lifetime. While each and every student learned more about the world in which they live, they also developed strong friendships and lasting memories. Outdoor Science School provided an experience unmatched for Fairmont's sixth graders! Feel that chill in the air? Warm soup is on the way! 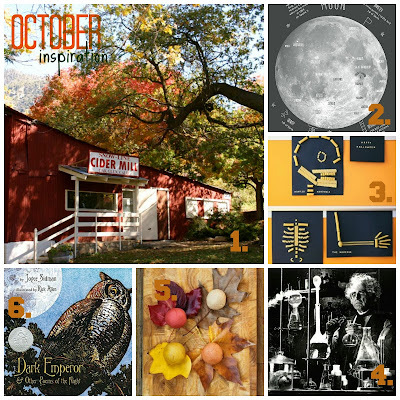 It’s October – why not make it pumpkin? That’s right, pumpkin soup is surprisingly yummy, creamy, and velvety-smooth. Made from scratch using real pumpkins is way more fun and tastier than making soup from canned. Selecting a pumpkin is part of the fun. Kids can watch it transform in the oven and help scoop out the flesh. Remember that children are much more likely to eat food if they are involved in its meal planning and preparation. Cooking tip: The best pumpkins for baking are sometimes called “pie pumpkins” and are smaller than jack-o-lantern varieties. Try Baby Pam, Autumn Kobachi, Hokkaido and Cinderella varieties for the best flavor. Nutrition tip: Colorful plants are loaded with phytochemicals, compounds that possess antioxidant and anti-inflammatory properties. Orange and yellow squash and pumpkin definitely contribute to the “rainbow diet”. Bonus: Scooping out the pumpkins seeds and roasting them is another kid-friendly activity and also makes a tasty and nutritious snack. 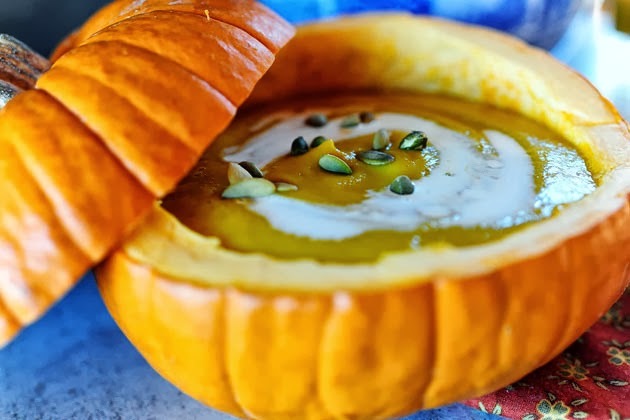 Imagine serving soup in hollowed-out tiny pumpkin as a special treat! Spooktacular! In a pot, heat up the pumpkin flesh with the stock and maple syrup until simmering. Mash out the big chunks, the transfer the mixture to a blender or food processor (or use an immersion blender) and puree until velvety smooth. Add cream and nutmeg, then blend again. 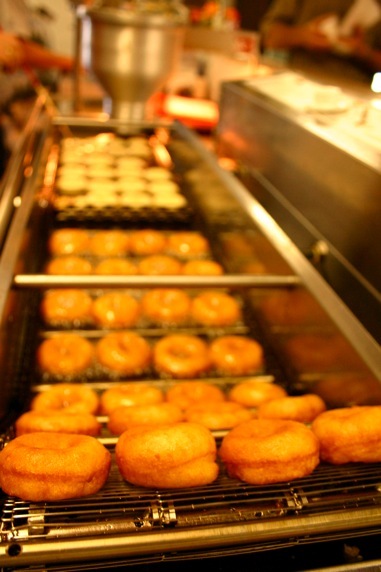 Reheat if you need to, or just go ahead and serve in a hollowed-out pumpkin of whatever size you'd like. Few things make a parent beam with pride more than a glowing review from a teacher. We love to hear that our children are bright, hard-working and responsible, and, chances are, that's just what you'll hear at your upcoming parent/teacher conference. Conference time is also a valuable opportunity to dig a little deeper and find out areas where your child may need support. In order to make the most of this experience, it helps to do your homework. Think ahead about any concerns you may have and be prepared to share them with your child's teacher in an open and non-threatening way. Share important details about your child that the teacher may not know and that could help maximize your child's success in the classroom. 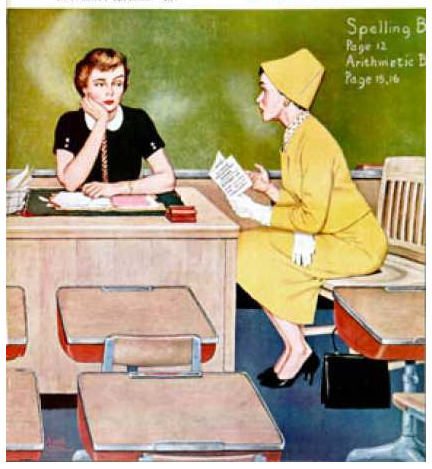 Take advantage of the teacher's unique perspective to get a well-rounded picture of how your child is doing socially and emotionally as well as academically. Let these tips from Scholastic be your guide and you'll be on your way to a super productive (and painless) parent/teacher conference. Talk to your child. Ask how he or she is doing in class, what's going on during lunchtime, recess, and when he or she goes to special classes like music or gym. Romes and Winesaps and Braeburns, oh my! It’s apple season again! You can find these iconic fruits of fall at your local farmer’s market, but it’s so much more fun to harvest them yourself. Consider packing up the family and heading on an apple picking adventure. The little town of Oak Glen, California is just over an hour’s drive from Orange County, but you’ll feel worlds away. Pick your own apples, press a gallon of cider, hike in the San Bernardino wilderness, ride a pony, square dance…and gorge yourself on apple delicacies. Click on the farms below for apple picking and all manner of apple-related fun. This October we are taking every opportunity to embrace the dark side, and no, we're not referring to The Force, Luke! This exquisitely illustrated book of poetry celebrates the creatures that go bump in the night from bats and owls to mice and moths. 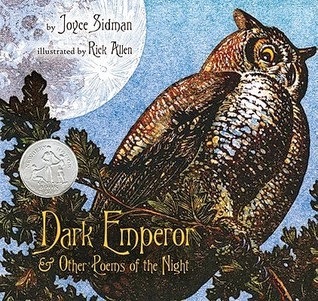 It's a great read for kids during this spooky month of Halloween and features both beautiful poetry and enlightening natural science facts about the featured animals. It's an un-scary read for a cozy night around the campfire. Oh, and did we mention that Dark Emperor is a Newbery Honor Book!